The Viper 3121V Motorcycle and Powersports 1-Way Security System Alarm was specifically designed and engineered for motorcycles, ATVs, boats, PWCs, and snowmobiles. With this brand-new product release, Directed enters the rapidly growing powersports market and maintains its leadership in designing innovative product solutions to meet the needs of todays most popular vehicles. With the 3121V, VIPER has brought the performance synonymous with the VIPER name to the world of powersports. Whether you own boats, motorcycles, or ATVs, all powersports enthusiasts now have a highly affordable and effective way to protect their vehicles. 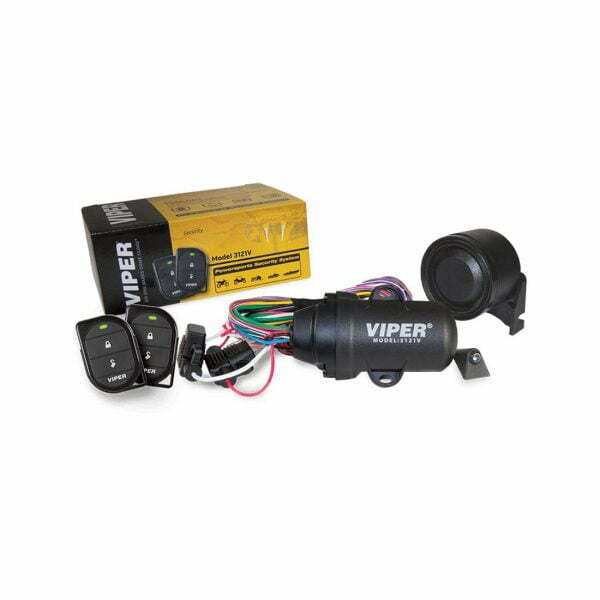 Viper Canada 1 Year Limited Warranty.